Campo del Cielo, Gran Chaco Gualamba, Argentina, about 500 miles north-northwest of Buenos Aries. The first record of this particular meteorite was in 1576. A Spanish governor learned of it from the Indians who reportedly believed that it had fallen from heaven. Scientists have attempted to date the Campo fall by carbon dating of charred wood found in the craters. Samples of charred wood were taken from beneath the meteorite fragments have been carbon dated and the results indicate the date of the fall to be around 4,200–4,700 years ago, or 2,200–2,700 years BC. This is a particularly large specimen, made even more impressive by its “Regmaglypts”, thumbprint-like depressions on a meteorite caused by the uneven flow of air during passage through the atmosphere and the consequent surface melting and ablation. 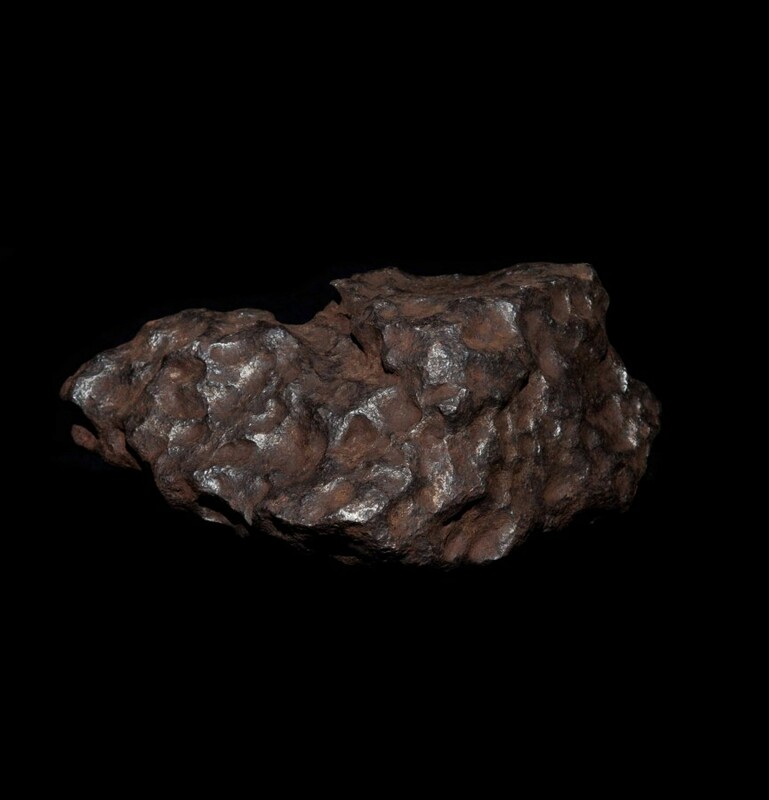 This meteorite specimen is available to view at our Pimlico Road, London gallery.